Self-accredited ISO 9001 certificate mill Guberman-PMC LLC has once again violated ISO 17021-1 accreditation rules by publishing a video in which its founder, Daryl Guberman, invites consultants to enter into a “partnership” with his alleged certification body. Guberman’s new attempt to “partner” with consultants further violates multiple clauses of ISO 17021-1 which prohibit a CB from partnering or co-marketing services with consultants. The rules claim such arrangements raise conflicts of interest and threats to impartiality. Ironically, Guberman makes his argument by spending much of the video alleging conflicts of interest between ANAB and the IAF, while ignoring his own conflicts of interest between Guberman-PMC and ABAC. The rambling video then goes into conspiracy theories about the FBI, China and communism. Guberman has posted almost 2,000 videos on his YouTube channel, espousing a nearly endless string of conspiracy theories, and accusing over a hundred companies and individuals of supporting terrorism, antisemitism, and criminal fraud. Guberman is offering a wholly unaccredited pro-Trump certification scheme called “MAGA Certified.” In the past, it was discovered that Guberman was issuing certificates to standards that did not even exist, such as ARM9009, a handgun manufacturing certification that Guberman personally invented. Guberman has posted homophobic images in his videos, and adopts an exaggerated fake Indian accent with talking about Asian registrars. He accuses anyone who disagrees with him of being mentally retarded. LaBelle operates a press release distribution network, helping to maximize the circulation of Guberman’s videos and conspiracy theory posts. The two routinely use photos of models, deceased veterans and infirmed senior citizens on their network of dozens of websites, in order to create the illusion that their companies are staffed. Guberman has used the photos of dead veterans to promote an unaccredited “Veteran Owned Business” certification, even as his wife, Dr. Felice Guberman, worked for the Connecticut state office of Veterans Affairs. Felice Guberman was listed as the managing agent for Guberman’s company while these promotions were being made, raising state ethics concerns. Guberman and LaBelle now face a Federal lawsuit launched by Oxebridge. The two are attempting to represent themselves without an attorney; however, the court issued an order denying the men the right to represent their company, as US law says that companies cannot represent themselves pro se. Guberman and LaBelle also moved to seal all court documents in the case. The case is likely to force Guberman and LaBelle to confront the contradictions in their marketing, and their use of the photos of dead veterans in their promotions. 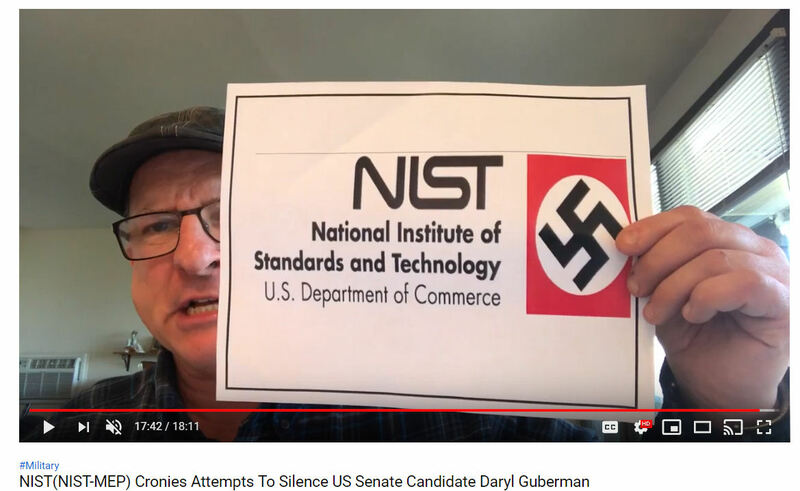 Despite his false accusations against others and heinous treatment of veterans, as well as labeling ASQ and ANSI as “Nazi” organizations and slathering swastikas on his YouTube graphics, Guberman has received support from senior US TAG 176 leaders including Paul Palmes, Alka Jarvis and Lorri Hunt, as well as from the Elsmar quality forum group, all of whom are trying to have Oxebridge’s reporting shut down.